Dar Lighting Box single light table lamp in a traditional miners style design. 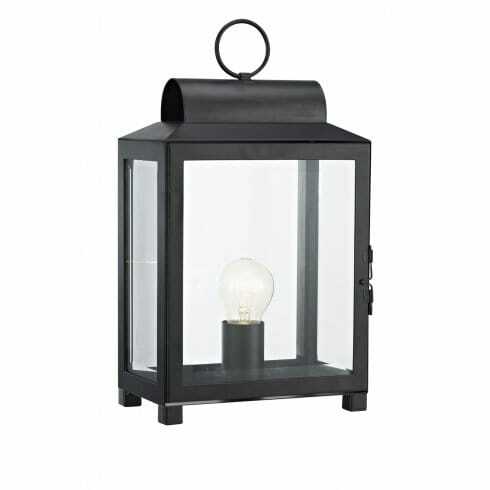 A black finish to the frame gives this attractive table lamp a distinctive, modern edge. The product code for this Dar table lamp is BOX4222. Clear glass diffusers allow maximum light output from this charming addition for your home. This lamp co-ordinates well with the Academy ceiling fitting, both of which are also available in a stainless steel finish and can be ordered from our website.